Art O’Keeffe (born sometime around 1903), sometimes called “Aut”, was a neighbor and family friend of the Weaver Murphys of Lisheen. As a fellow musician, he would have shared many a tune with that storied clan. It’s probable he was at least a sometime pupil of Tom Billy’s, though he could have got his music from any number of less exalted sources. He is known today as having been a whistle player, though he also could play the fiddle and was a respected singer as well. He was a member of the Lisheen Fife and Drum Band captained by Bill “The Weaver” Murphy, and long after the band was defunct he could still play the tunes and arrangements with composed passages from the old days. In 1952, when Billy Clifford was sent from his home in London to stay with his widowed grandmother, Art O’Keeffe befriended him and no doubt shared with him the music Billy’s family had played in the generations before him. In 1974 he played a tune at the funeral of Denis Murphy, but after that I have no records of his doings, and I have not been able to determine the date of his death. 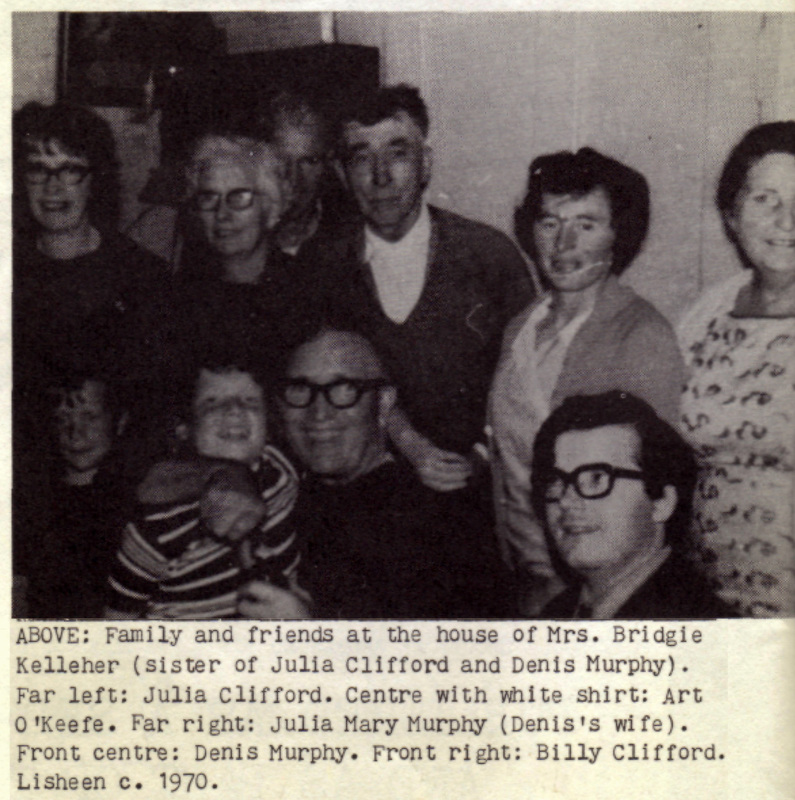 He was recorded singing two songs for the BBC in 1947, and also provided a number of tunes to Breandán Breathnach’s collection, but in general he was not as celebrated a personage as his neighbors, the Murphys. However, a number tunes in the common repertoire still bear his name, so in that way, at least, he left his mark on the tradition.